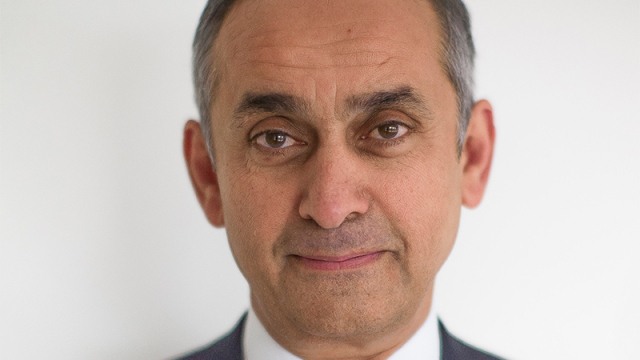 The Aurora Humanitarian Initiative is pleased to confirm the appointment of Lord Ara Darzi to the Aurora Prize Selection Committee. The Selection Committee is comprised of a select group of humanitarians, human right activists and former heads of state, and is chaired by Academy-award winning actor and director, and a humanitarian in his own right, George Clooney. Professor Darzi is Director of the Institute of Global Health Innovation at Imperial College London. He also holds the Paul Hamlyn Chair of Surgery at Imperial College London, and the Institute of Cancer Research and is Executive Chair of the World Innovation Summit for Health in Qatar. He is a Consultant Surgeon at Imperial College Hospital NHS Trust and the Royal Marsden NHS Trust. In 2002, he was knighted for his services in medicine and surgery, and was introduced to the United Kingdom’s House of Lords as Professor the Lord Darzi of Denham in 2007. He has been a member of the Privy Council since June 2009 and was awarded the Order of Merit in January 2016. Lord Darzi joins current Aurora Prize Selection Committee members including Nobel Laureates Oscar Arias, Shirin Ebadi and Leymah Gbowee; former president of Ireland Mary Robinson; former president of Mexico Ernesto Zedillo; human rights activist Hina Jilani; President Emeritus of the International Crisis Group and former foreign minister of Australia, Gareth Evans; Vartan Gregorian; and Academy Award-winning actor and humanitarian George Clooney. The nomination period for the 2018 Aurora Prize is still open. Anyone can nominate a candidate who they believe has risked their life, health, freedom, reputation or livelihood to make an exceptional impact on preserving human life and advancing humanitarian causes. A description of the Prize criteria and selection process can be found here. Nominations for the 2018 Aurora Prize will close on September 8, 2017. The finalists will be announced in Armenia on April 24, 2018, when the world commemorates the Genocide of Armenians in 1915. The Aurora Prize was established on behalf of the survivors of the Armenian Genocide and in gratitude to their saviors. The $1 million Aurora Prize will be awarded for the third time on June 10, 2018 in Armenia. The laureate is invited to share $1million with organizations which inspire their work. The award ceremony is a culmination of the weekend of special events that will take place on June 8-10, 2018. Pre-eminent humanitarians, academics, philanthropists, human rights defenders, government officials, journalists and business leaders from around the world will gather for the purpose of galvanizing action to address today’s most pressing humanitarian challenges and to celebrate the best of humanity.